It was just a few days ago that I revealed in a ‘not so blind’ item that Oprah Winfrey‘s OWN newtork would be pulling the plug on their ‘baby daddy’ themed show (click HERE if you missed that). 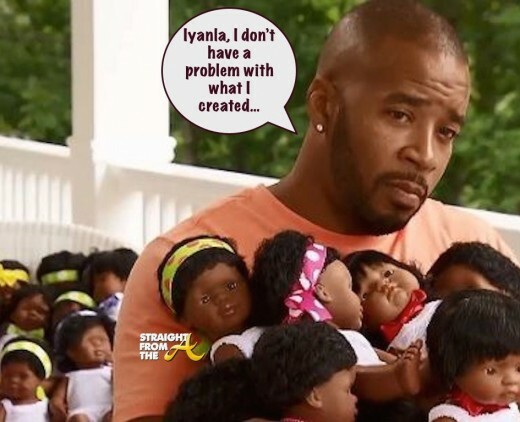 The show was to be focused around Jay Williams, the Atlanta resident with 34 kids and 17 baby mamas that bared his baby mama drama on several episodes of Iyanla: Fix My Life. The goal of the ‘Untitled Jay Williams Project’ was to follow Williams as he worked to put his life and relationships in order with the help of spiritual life coach Iyanla Vanzant holding him accountable every step of the way…. but things didn’t turn out as planned. Well… it seems my hot tea was true. OWN has released an official statement severing ties with the project. It was just a few months ago that it was revealed that OWN had greenlit a series based around Jay Williams, the father of 34 that aired his dirty laundry on Iyanly Vanzant’s ‘Fix My Life’ last year. Well word on the curb is that it Williams’ show, which features several of his kids, may be canned after weeks of taping around Atlanta… all due to his erratic attitude and out of control spending. Having multiple baby mamas seems to be the norm nowadays and drama that comes along with all those mixed relationships would make for perfect ‘real life’ reality television. 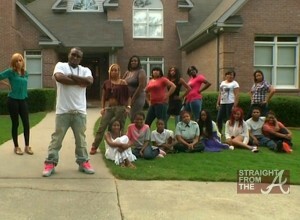 Rapper Shawty Lo tried to bring his situation to mainstream a few years ago with ‘All My Baby Mamas’ (click HERE to watch) but his story was banned from tv after thousands signed a petition stating it was too stereotypical. Jay Williams from Iyanla: Fix My Life, the guy who had fathered 34 children from 17 different woman is now getting a shot at bringing his real life problems to the small screen. Williams story (which you can watch in it’s entirety HERE) sparked several ‘Fix My Life’ follow ups and many suggested that it was his intent all along to secure his own show. Did you see the episode of ‘Fix My Life’ about the father with 34 kids by 17 women?? Well I’ve posted all 3 parts for those of you who missed it! I’ve also posed a letter one of his daughters wrote, speaking out about being on the show! Jay Williams a successful video producer in Atlanta, appeared on the season 4 premiere of ‘Iyanla: Fix My Life’ and the world just can’t stop talking about his story. Williams appeared on the show, revealing that he’d fathered 34 biological children with 17 different women. His oldest daughter is 26 and his youngest is 3. “I probably would have 200 kids if I didn’t use condoms,” he says. 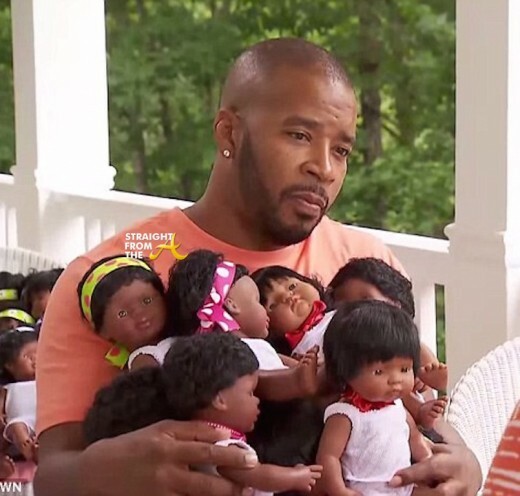 Iyanla traveled to Atlanta to help the father “Fix” his life and several of Williams’ ‘baby-mamas’ appeared on the show, as well as a few of his older children, to confront him about the situation. Amina Mosley, one of Williams’ adult daughters who appeared on the show, recently penned an open letter to Iyanla about the issue and asked me to share it. It’s a long read, and it’s clear that whatever ‘fixing’ to be done isn’t over yet.